At the final day of Dutch Youngster Festival 2016 the Irish Charlotte Houston (photo) won the Wessels Vetker Stable Prize with Ewald (Eduard). 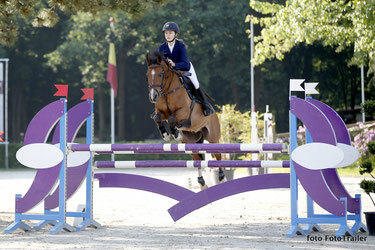 The Dutch riders were also strong in this Small Tour class for ponies at 1.20m level. Pam Nieuwenhuis, Karlijn Stemerdink, Tania van Leeuwen and Merel Albertema completed the top-5.